Do you think your home wireless network is secure? That’s what Barb Angelova thought, until she got the scare of her life. What happened to Barb isn’t unusual. What’s more, it should be a wakeup call for anyone who uses home WiFi. It all started when the Illinois graphic artist decided to change her Internet service provider. As usual, the new ISP came to her home and replaced her old WiFi router with one of its own. But after the installation, Barb discovered there were no instructions on how to secure the network. On top of that, the new router – a cheaper model than the old one – didn’t allow Barb to easily identify which devices were on it. Barb was annoyed. But she decided to make do with the router her ISP provided. Who’s on My Home WiFi? A year later, Barb got an email from her ISP, along with a letter. Panic set in as she read it. It accused her of illegally downloading a movie and listed the time, date, port, movie title, and how the download was acquired. Frantic, Barb informed her ISP that she’d never heard of The Man of Tai Chi – the movie she was accused of downloading. That’s when it suggested her home WiFi network may have been hacked. Barb was advised to change her wireless password and told that the Motion Picture Association of America (MPAA) could pursue the case against her if it chose. That wasn’t all. Repeat offenders could have their bandwidth throttled and even have their Internet service suspended. It was the ultimate Catch-22 situation: How could Barb prove she didn’t illegally download a movie if she had no idea who committed the crime using her home WiFi connection? “For years I have maintained my own home wireless network without hiccups,” she said. But Barb admitted she wasn’t that savvy about protecting her online security. She had noticed some warning signs there could be problem: Her laptop kept freezing up; and she got knocked offline for long stretches of time. But Barb didn’t make the connection until it was too late. One way to check whether an intruder is on your home network is to turn off all of your WiFi devices. If your router activity light continues to blink, it means a stranger is using your WiFi connection. 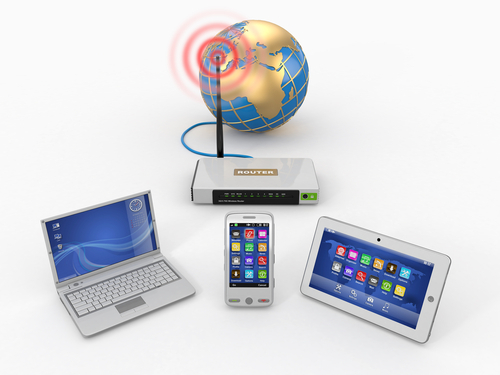 These tips from our blog will help you secure your home wireless network. So will using a VPN like PRIVATE WiFi. VPNs protect your information by sending it through a secure tunnel that’s invisible to hackers – at home and at hotspots. Editor’s note: Barb Angelova was an entrant in PRIVATE WiFi’s “I Was Hacked: Facebook Series” contest. As the winner, upon relaying her story, she was awarded a free year of PRIVATE WiFi’s personal VPN. If you would like to share your story with us, email social@privatewifi.com. You could be featured in an upcoming blog post and receive a free year of PRIVATE WiFi.